Why must you choose a perfect domain name for your website? What are the rules to follow when choosing the best domain name for your blog? What are the common mistakes bloggers make when choosing a domain name for their blog? Don’t worry, I will explain everything in this chapter. myschoolng.wordpress.com), but later on, there will be need to have a domain name of your own. A custom domain name helps a blogger to acquire a unique branding and identity, make his blog look professional and easy to remember, and in addition, helps in SEO. For example; Google will take ngstudents.com more seriously than ngstudents.wapka.mobi. Before we move on to the discussion proper, let me explain some basic terms you should know. a. http (hyper text transfer protocol ), it’s not a secured protocol. b. https (hyper text transfer protocol, secured), it is secured and recommended protocol. Both of them has a www (World Wide Web) suffix attached to the protocol. a. It is advisable to choose a secured protocol, moreover Google now marks any website without https as unsecured in its chrome browser. b. A secured protocol gives your visitors a great level of trust knowing that their information are safe. c. Anyways, you can start with an http, because using an https means that you have to purchase an SSL certificate (security certificate), this can be quite expensive, especially for those who intends to start up a blog with a mini budget. 2. Domain Name; this is the text/keyword part of the domain, domain name + TLD = Unique. (i.e. It can't be same for two websites). a. It is advisable to use your company’s name instead of your name when choosing a domain name, but this is not a must, for example; in the domain LindaIkejisBlog.com, The owner’s name is used together with a keyword "blog". b. 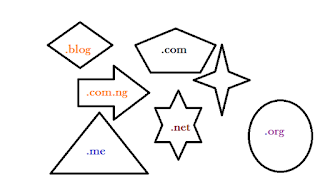 If possible, include your keyword in your domain name, as in the case of blognigeria.com (“blog” and “Nigeria”) and ngstudents.com (“NG” and “students”), though it don't count for much. c. Choose a name that can be easily remembered, a common or unique one (e.g. "blog", "Nigeria”). If a complex name is chosen, it might be difficult for your members to recall. d. It should not be too long, else your members might find it stressful when typing it on their browser. e. Make sure the name is not legally registered by a company, for example; adding "wordpress" to your domain name will land you in a legal case. You can always confirm the legal status of a domain name by searching out on Google. .org means organization, for organizational blogs. .uk means United Kingdom, and so on, there are about 200 of them. b. I recommended that you use a TLD for better SEO optimization, using .com is a plus, because visitors are used to assuming all domain names to be .com. Most times, you will find out that your dream domain has already been chosen by another company or blog. In such cases, below are the options available for you. 1. You can add a hyphen (-) in-between the domain name, for example, If Blognigeria is no longer available you can use "Blog-Nigeria". The Setback in this is that your domain name might not be easy to communicate verbally, and might lead to diversion of traffic due to misspellings by your website visitors. 2. You can consider choosing another domain extension for the same domain name, for example, you can choose example.blog since example.com is not available. 3. You might look up Other Keywords synonymous to your desired but unavailable domain name. Example; "buybooks" and "purchasebooks". 4. 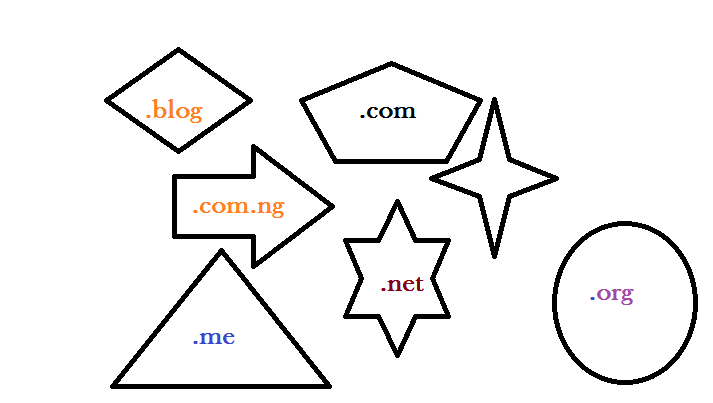 Changing the orientation of words on the domain name might also work, example; "blognigeria" and "nigeriablog".